*Gatefold card slipcase with lyric booklet* "After a fifteen year hiatus, the "classic line up" of Guided By Voices (Robert Pollard, Tobin Sprout, Mitch Mitchell, Greg Demos, and Kevin Fennell) finishes off its year-long reunion tour by releasing an album of 21 new songs, deliberately choosing to return to what bandleader Robert Pollard calls the "semi-collegial" approach of iconic GBV albums like Bee Thousand and Alien Lanes. 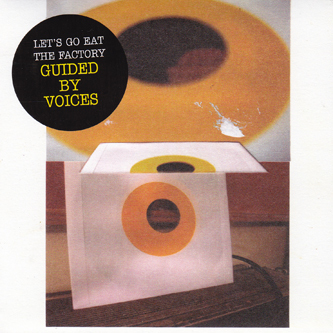 Let's Go Eat The Factory is much more than a mere return, however: sprawling, variegated, heavy, melodic, and yet still recognizably and coherently Guided By Voices in both its literal and mythic senses... 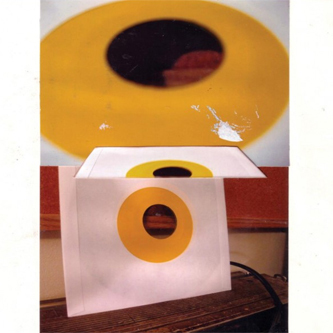 The aesthetic is very much in keeping with Guided By Voices, but in some unexpected ways (more prevalent use of keyboards and samples, for one thing) the 21st century can't help but poke its nose into the resulting music. Devoted fans of Bee Thousand will not be disappointed in, for instance, the demonically tuneful "Chocolate Boy," or the relentless chug of "We Won't Apologize For The Human Race," which Tobin Sprout describes as "Peter Gabriel singing 'I Am The Walrus." Other standouts include "Doughnut For A Snowman," which Pollard calls "the goofiest, twinkliest song i've ever written," or "Spider Fighter," a Tobin Sprout number that was in fact the first song title conceived for the new album, and which features a piano coda that Pollard likens to "a Pete Townshend demo for Lifehouse."